Located within the much disturbed stone circle behind the BP Garage at Inverurie. 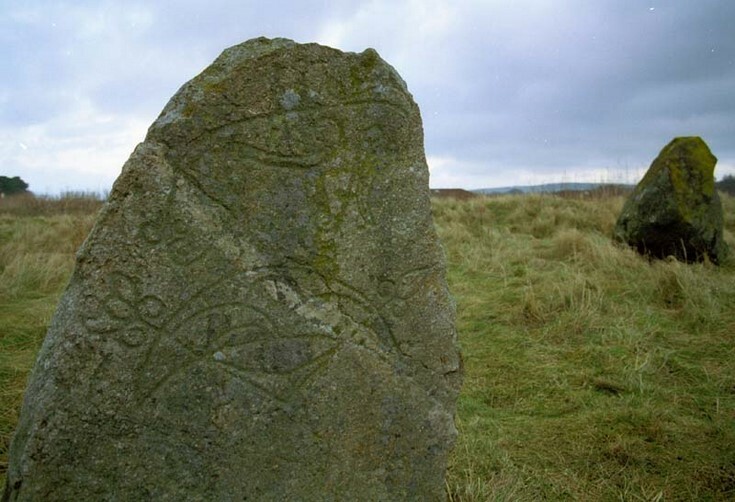 It is thought that this pictish stone has been "added" to the other stones at some time in the past. Dolphin, crescent and broken arrow can be seen.